Meek’s Annual Deck Blowout Sneak Peek! 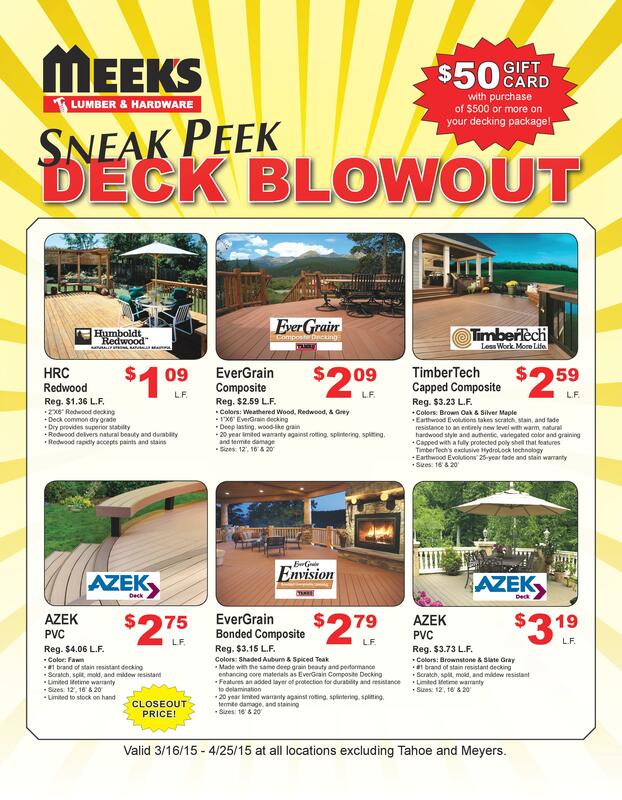 The Annual Deck Blowout is just around the corner starting on April 15 and ending April 25. See below for a sneak peek & experience Blowout prices early!